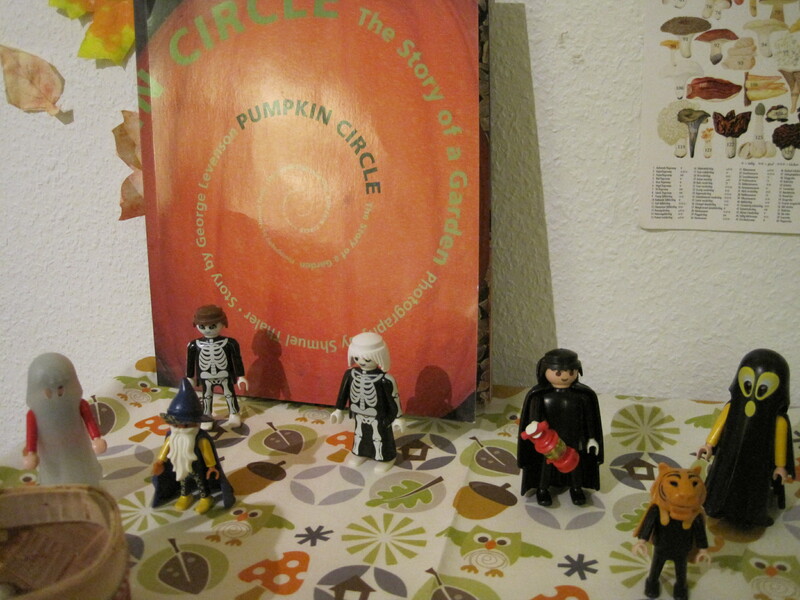 I don’t really feel I can put this under the label ‘nature table’ this week, due to the sheer amount of plastic and little spooky guys – so ‘seasonal’ it is – and what fun it has been to set up! 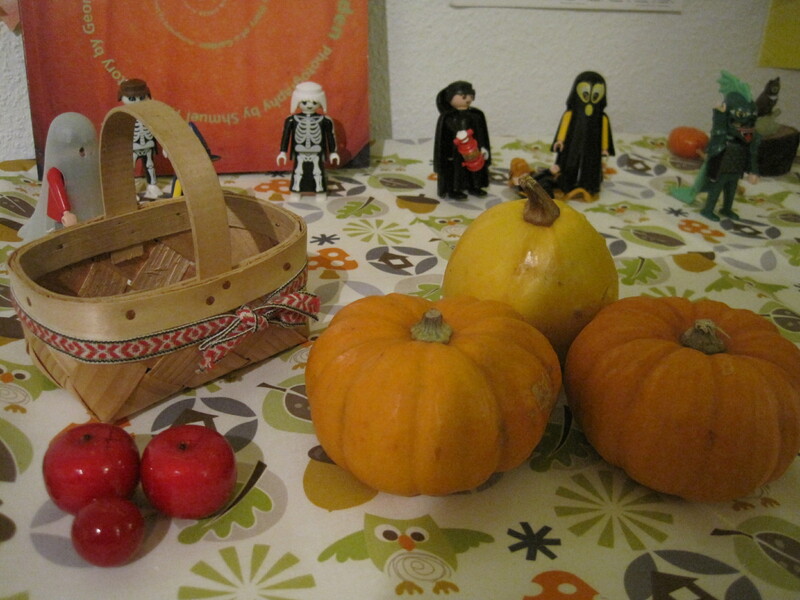 Laid on a gorgeous autumnal fabric from ‘Spoonflower’, which I was lucky enough to win on the amazing ‘Gingerbread Snowflakes’ blog, written by the lovely Pam, there are an assortment of Halloween Playmobil characters, and some natural, and not so natural, autumnal ‘fruits’. 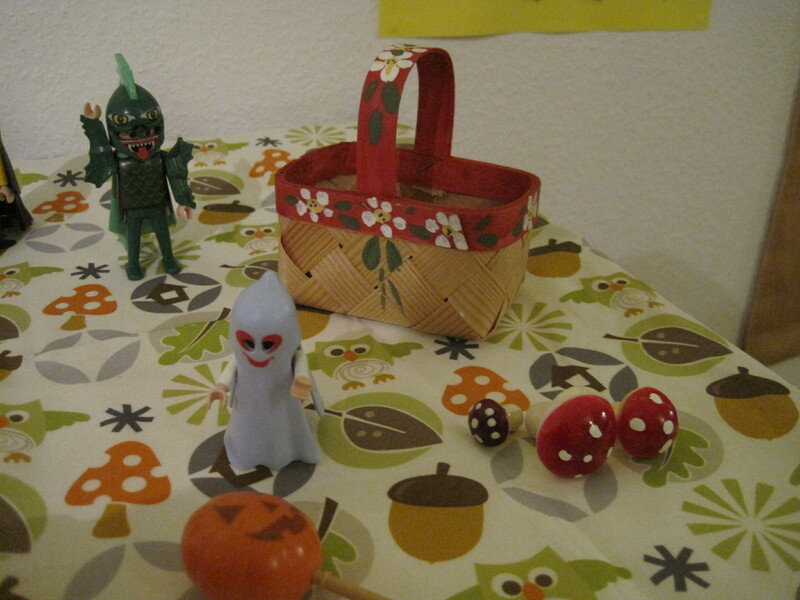 Plastic apples and plastic toadstools, real mini pumpkins, and small baskets of conkers and acorns. 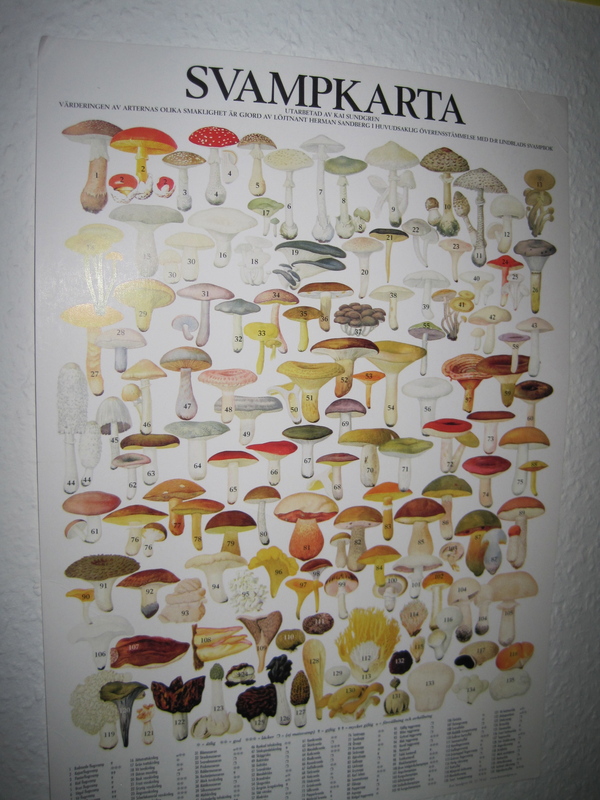 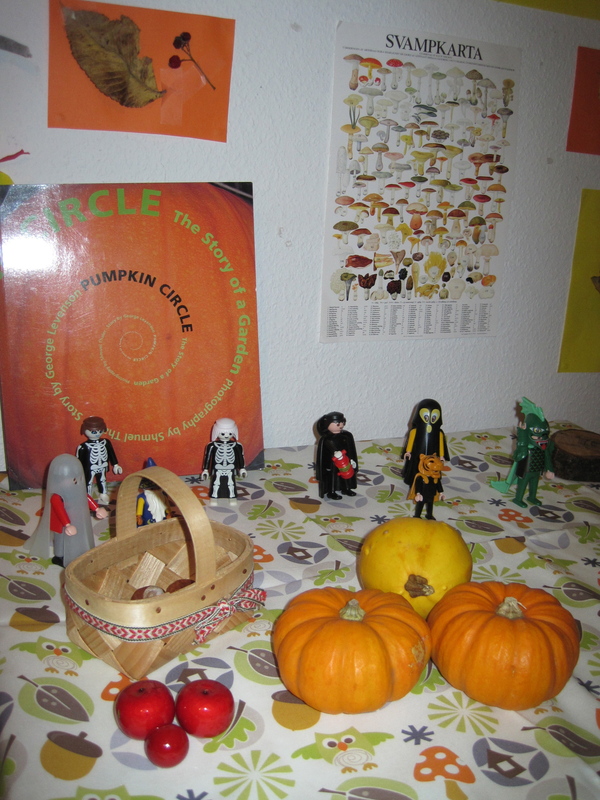 Behind lies the book ‘Pumpkin Circle’ (Alfie’s present favourite), and a mushroom/toadstool identification chart…. 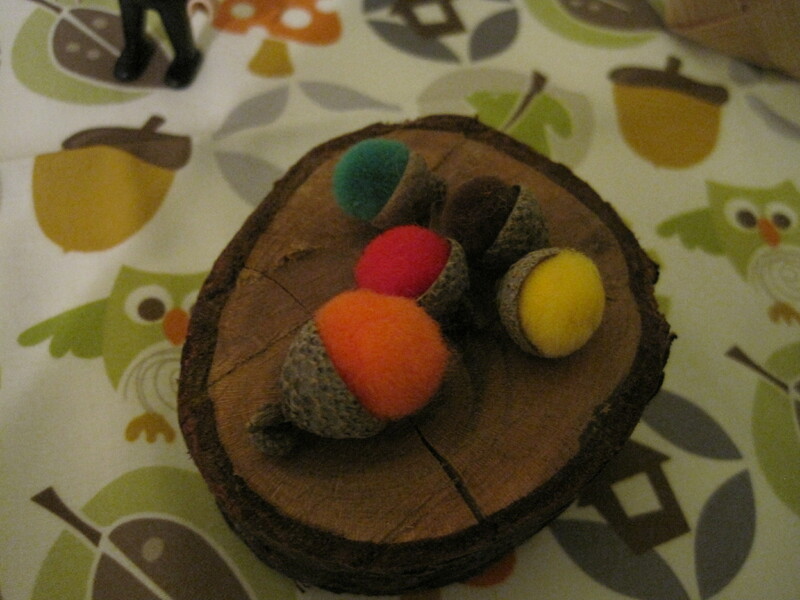 Not forgetting our ‘pom pom acorns’, an idea I got from the wonderful ‘Pink and Green Mama’ blog, and of course our resident owl…. 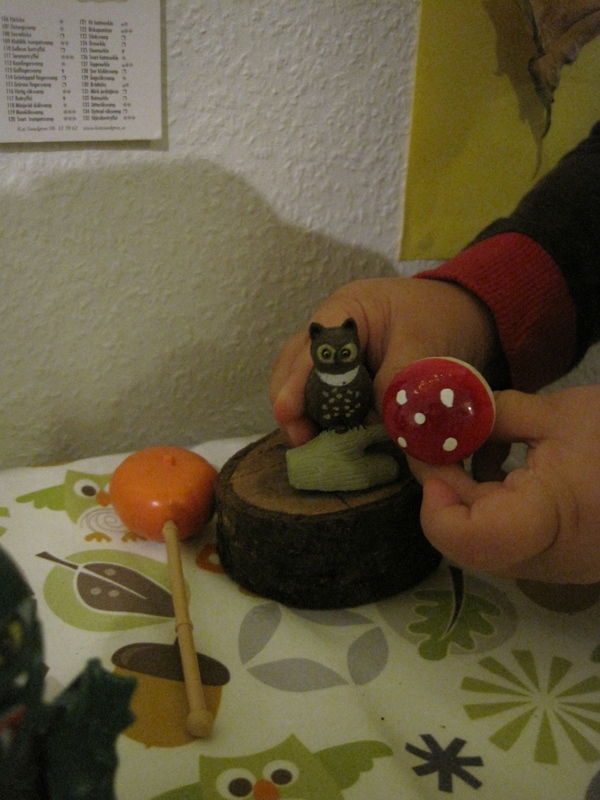 It’s such a pretty and fun looking scenario – Alfie has already had lots of fun with it – and I’m sure there’s lots more fun to come!